I finally had the chance to attend my first Emerald Cup in Santa Rosa, California, this weekend… and Disney World now ranks #2 on my list of happiest places on earth (sorry, Mickey). In case you’re not familiar with the Emerald Cup, it’s renown as the biggest and best showcase of sun-grown cannabis in the world. 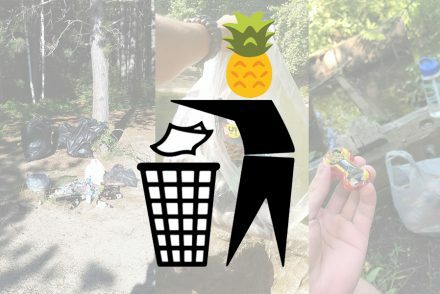 For a recovering “indoor weed snob” like myself, it’s a mandatory event to attend so you can see just how incredibly good outdoor cannabis (and its byproducts) can be… not to mention the amazing community that surrounds it. 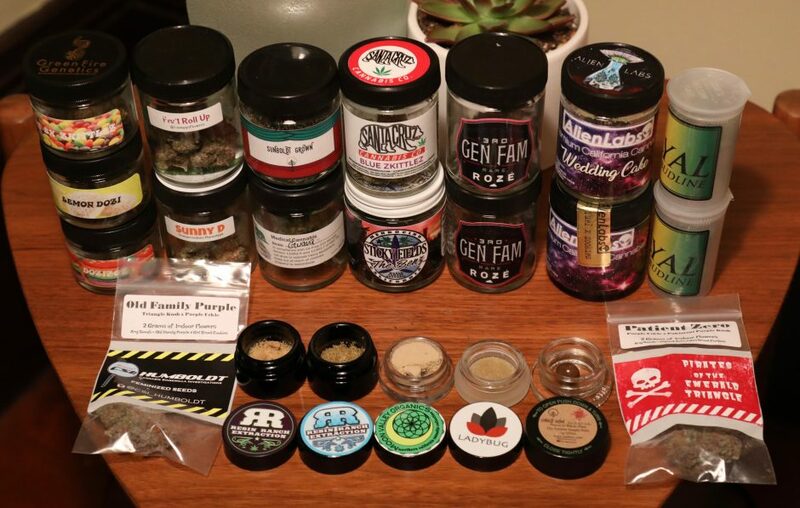 All in all I came away with 16 strains of flowers (just over 2 ounces) and 5 concentrates… not a bad haul for a single day, eh?. Check out photos of each below, then leave a comment and let me know what you scooped up at the Emerald Cup. I went to the 3rd Gen Family booth to check out their extracts, in particular their Zkittlez, but ended up walking happily away with some beautiful Roze flower (mainly because their extracts ranged from $100-$140 and I had to stay disciplined on my budget #willpower). 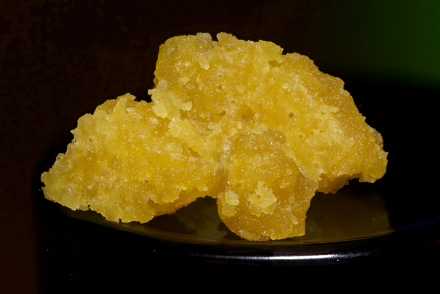 The terpene profile is floral and sweet at the beginning with some soft earthy, funky undertones when you pinch the nugs. This strain placed #2 in this year’s Emerald Cup. I was randomly smelling jars at the Santa Cruz Cannabis Co. booth when I was hooked by the Blue Zkittlez’s smell of sweet blueberries mixed with a little earthy funk. This is easily some of the gassiest, most beautiful flower that I picked up all day… oh yeah, and it’s indoor. 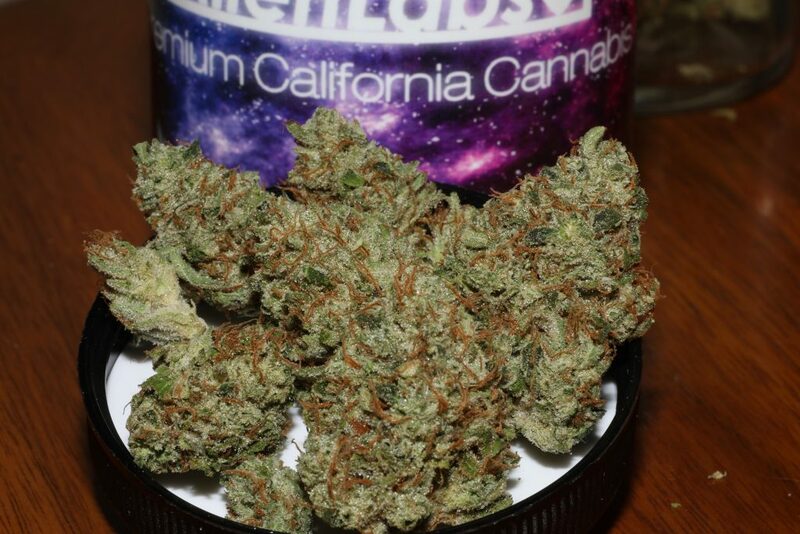 I wouldn’t have typically picked this up given the Emerald Cup is all about outdoor cannabis… but it’s Alien Labs and it’s their Wedding Cake so I gave myself a pass (I gave myself a pass a few times during the day, oh well). Alien Labs introduced a bunch of new flavors (at least new to me) at the Emerald Cup–this Lemon Fuel x Zookies was one of them. I’m a huge fan of Alien Lab’s Zookies, and this cross hooked me on first smell of that pungent, sweet, skunky funk. My IG buddy @higher.standards.619 recommended the Zkittlez from Royal Budline so I made it a point to grab some. He must be on to something–this batch placed #2 in the Light Dep category at this year’s Cup. This strain looks and smells amaaaazing. The strong citrus smell is cut with sharp skunky undertones–very similar to Tangiland. I believe this was grown indoors. 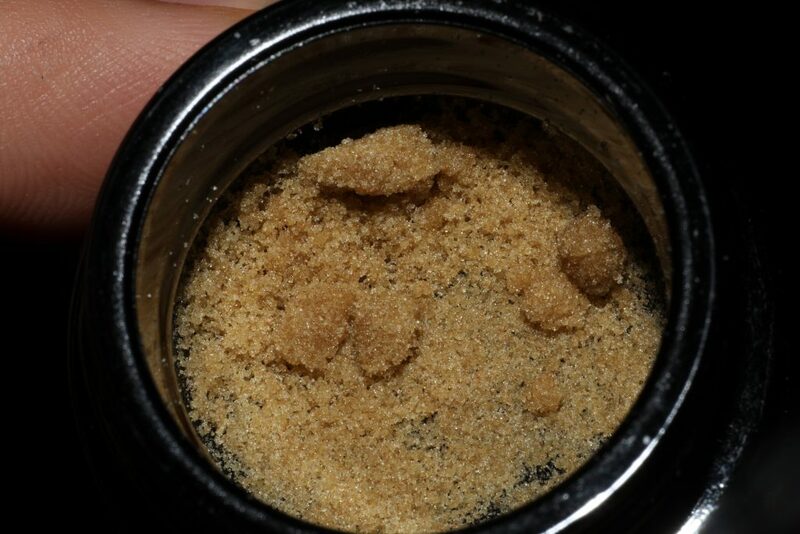 Dr Ladybug makes some of my favorite bubble hash in town. This was the first time I’ve had a chance to meet him in person (he’s a super nice guy) and he pointed me toward this Chocolate Oranges that looks out of this world. Not the prettiest nugs that I picked up, but the jar smells like those candy peach rings so I’m ok with the looks. 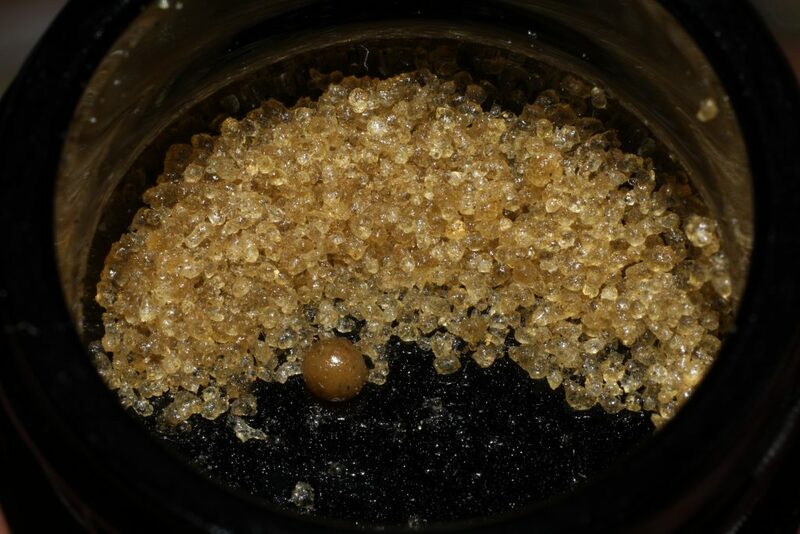 The strain is cross of: Zkittlez X Zozizoz: ZOZ BX Z X Dosidos. 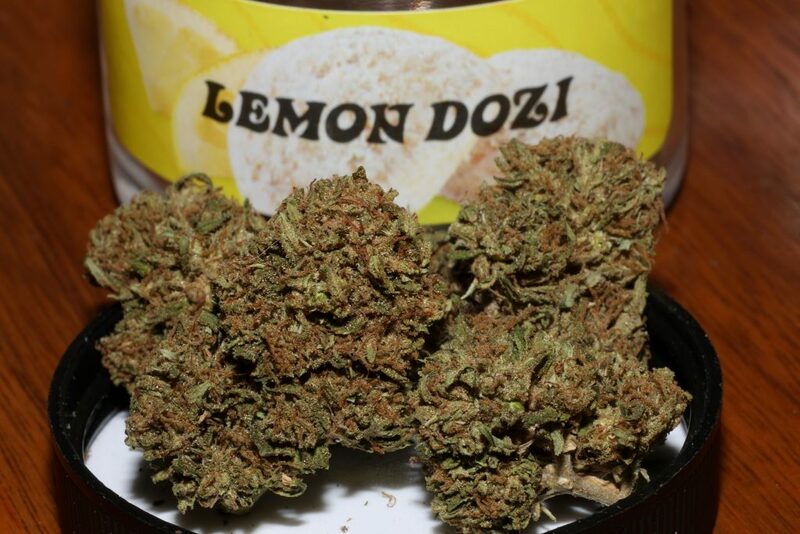 Popped open this jar and it smelled like lemon candy so I said, “yes please.” When you break open the nugs there are undertones of sweet, creamy earthiness…. really delicious layers on this one. This is the third, final and maybe most delicious strain that I picked up from Green Fire Genetics. 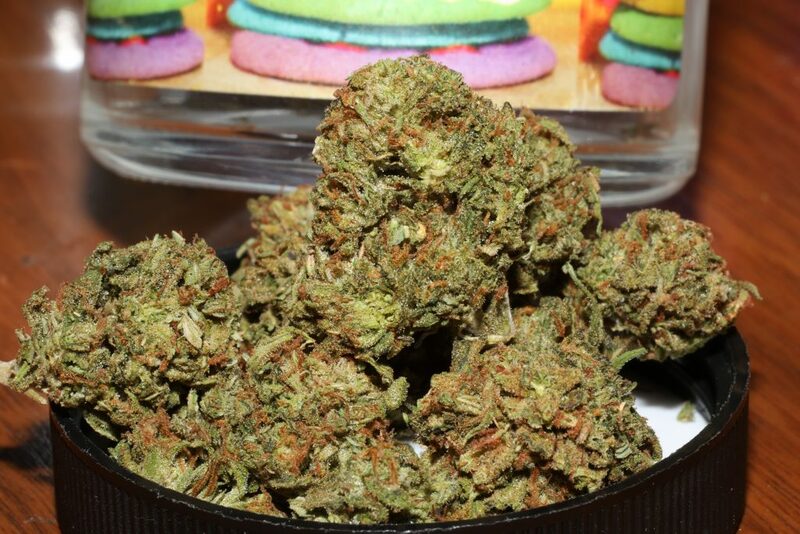 The jar smells like green apple Skittles–green is probably my least favorite flavor of Skittles, but I’m all good with that flavor in my weed. I was bouncing between booths smelling jars (I may have been skipping at this point) and got hooked by the delicious citrus nose on this Wanderlust. I was excited to find that Nasha (see below) was also vending at this booth. 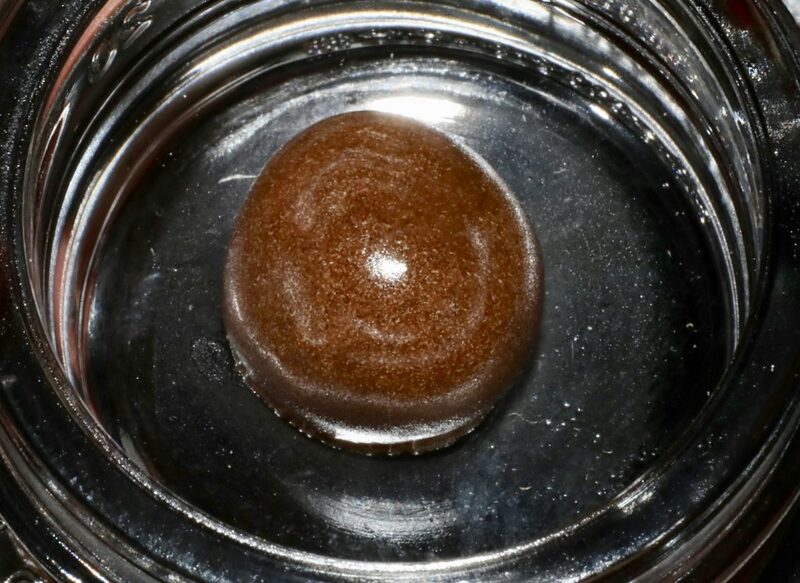 I’ve had one of Nasha’s temple balls before and loved the flavor, high and awesome melt. I can’t wait to dig into this one. Stopped by the Yoda Grows booth to chat with the super nice growers and got hooked by the strong sweet funk on this Guava, not to mention the amazing price of $20 for an 1/8th. I picked this up later in the day while I was wandering between booths talking to vendors and smelling jars. The Benz (not sure about the genetics) had a unique earthy, cheesy funk to it that grabbed my nostrils. While I was eating lunch I started comparing flower with the guy next to me. He whipped out this jar of purple nugs that smelled like grape jelly and I told him to circle the booth on my map. I believe this strain is Forbidden Fruit x Forbidden Fruit, but don’t quote me on that. While I was grabbing some Fruit Roll Up (see above) I came across this Sunny D that was on display at the same booth. It’s a pheno of Orange Cookies and it looks and smells amazing. I’m a sucker for the citrus flavors. Another tasty strain from CSI Humboldt. 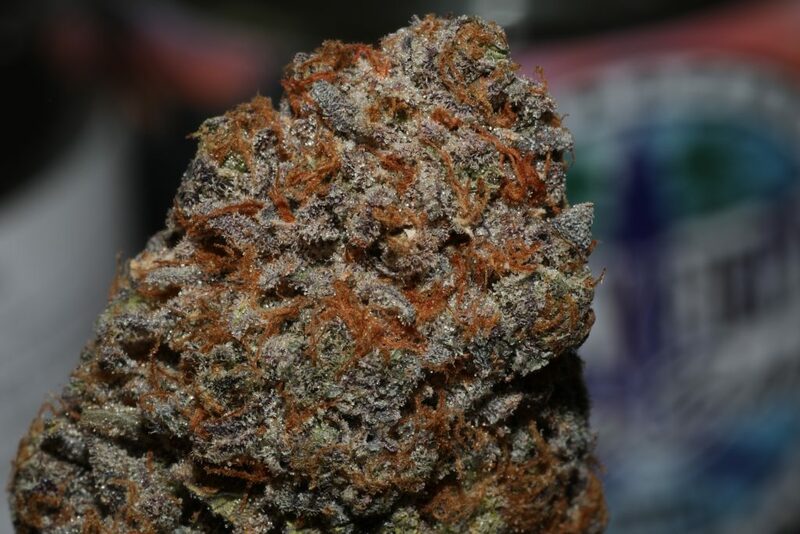 The genetics are Purple Urkle x Pakistani Purple Kush. 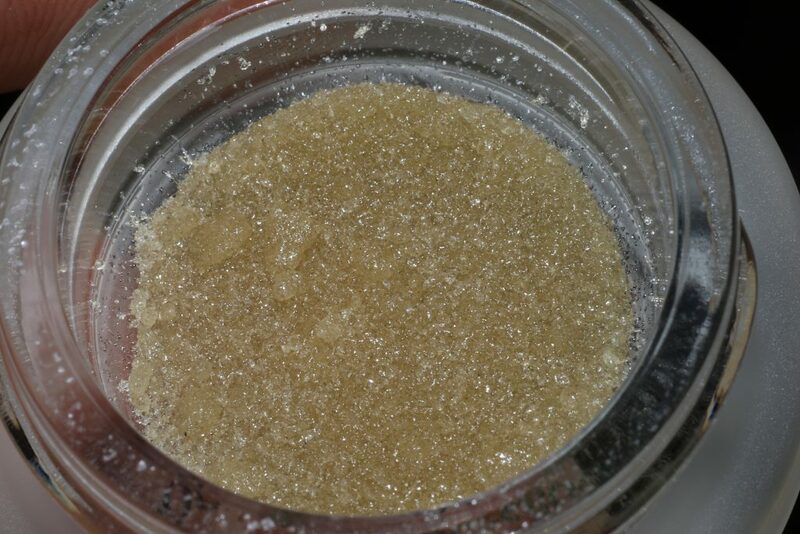 Pretty much all of Resin Ranch’s extracts were on point. 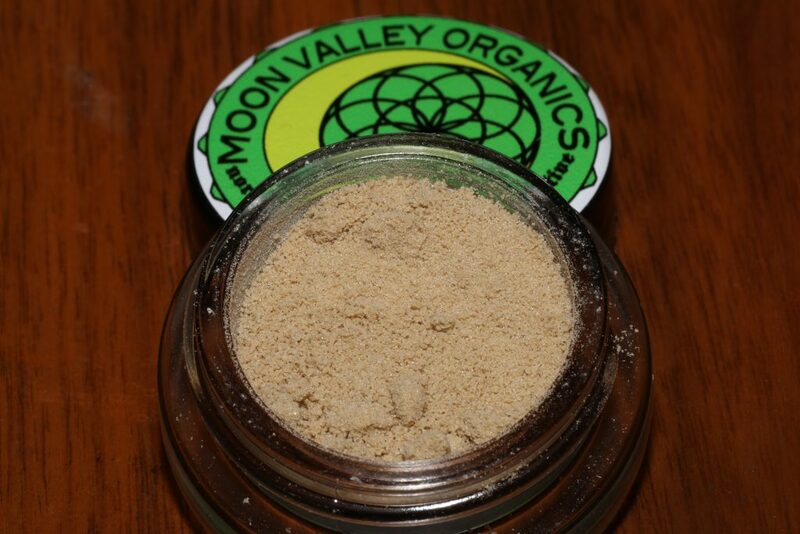 I had a nice chat with the guy at the booth and he pointed me toward the Sour Chaos dry sift. It has an especially strong sweet, musty, spicy aroma (it reminds me of Juicy Fruit gum) that makes my mouth water. 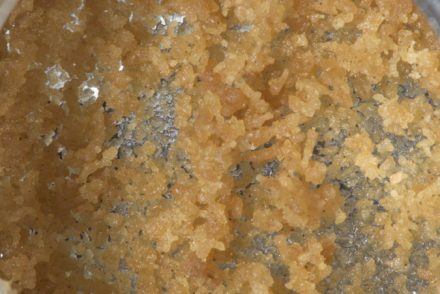 Sour Diesel makes some of my favorite bubble hash–it’s always so greasy–and this batch from Resin Ranch looks particularly fire. I mean, look at it. Not much more I can say.